Compliance issues can be devastating for commercial operations and in turn, the patient community. While companies do their best to avoid problems, for those willing to help there can be significant rewards. Remediation projects offer a chance for contractors to grow their skills and experience within a unique working environment. There’s no denying that remediation projects are tough going, requiring both technical expertise and dedication to work on, but the experience gained could have a significant impact on a contractor’s career. Following a warning from a regulatory body, such as the FDA, companies must take steps to fix issues as soon as possible. As these affect the commercial supply these remediation projects are often urgent and demand high quality work performed to strict deadlines. Companies will need a contingent workforce consisting of a variety of quality consultants with compliance experience including validation engineers, CSV consultants, process engineers, CAPA consultants, quality system consultants and deviation investigators. Not a contractor but want to know more? Check out some of the benefits of contracting. Difficulties such as working away from home in a remote location are often far outweighed by the chance to work for leading pharmaceutical, biotechnology and medical device companies. These projects are high profile and highly specialised. As a ‘helping hand’ you’ll be using your expertise to solve business critical problems that would otherwise stop the company from being able to manufacture drugs and devices. 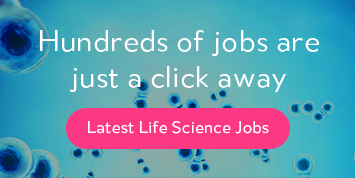 It’s also an excellent opportunity to build relationships with key personnel across a variety of life science companies, getting your foot in the door for future projects. Having built these relationships and impressed them with your capabilities, you’re more likely to be called upon to work on the most important and exciting projects when they arise. Whether it’s working for a well-established international company or a highly-innovative start-up venture, you’ll gain exposure to the different manufacturing processes carried out by the major life science players in the world. The experienced gained working on these types of projects will certainly help set you apart in a highly competitive industry. You will already have the required skill set and technical expertise to help companies prepare for audit by regulatory bodies. However, there are several sought-after skills to be gained that would become very useful in your future career. Firstly, building up experience working under pressured circumstances and adapting to different working environments will enable to you to do your job more quickly, accurately and efficiently than others. Having a reputation as a talented, reliable and effective expert will make you an attractive prospect for future employers. Secondly, you will develop certain ‘soft skills’ that are just as valuable as the most specialised technical skill-set. While contracting in general helps you gain these, working on a remediation project is a particularly ideal environment in which to develop soft skills. The most valuable soft skills you’ll learn is how to collaborate with a team to maximise productivity and how to problem-solve to fix business critical issues quickly. Being able to communicate effectively with a variety of people including the ability to delivery bad news to various stakeholders is another highly sought-after skill that few contractors in this field will truly master. Perhaps most importantly of all, you will learn how to interact with staff from the FDA and other regulatory bodies, experience that is hard to come by and therefore attractive to employers. Contractors can usually expect to be well paid. However, remediation projects offer contractors added benefits on top of attractive pay. In fact, due to the urgency of the work, some companies will pay even more competitive rates to encourage contractors to work these critical projects. Most importantly, you have the ability to help businesses deliver life saving drugs and devices and ultimately save lives. That in itself is enough reward for those willing to take on the challenge. If you are interested in working on a remediation project, ProClinical is working with many leading pharmaceutical, biotechnology and medical device companies that are currently seeking experienced QA contractors to work on a range of high-profile and exciting projects across Europe and the USA.